January Jam music weekend is in full force with lots of our friends in town. We hope to get out sailing while our friends are here. We hauled Gato Loco over a week ago and the Cabrales boat yard has her ready to splash back into service. 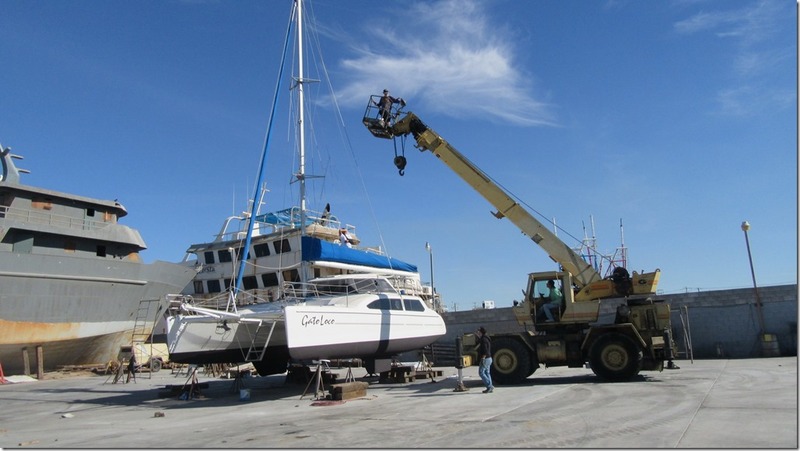 They’ve done an awesome job as usual and we highly recommend them for your boat maintenance and storage needs. Watch our video of the final work and splash.